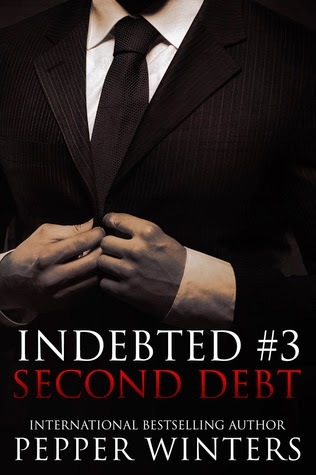 When I first read the synopsis for The Indebted series by Pepper Winters, I was hesitant. You are probably wondering why, and it has to do with the overall story line. I struggled to connect with the premisis that Jethro owned Nila due to a piece of paper that indicates she had to repay her family’s debts that is centuries old. In Second Debt, the story continues of Nila paying the debts for her family’s sins, but we see growth in Nila. In the first book and part of the second book, her naivety bothered me because it was as if she lay down and took whatever the Hawks dished out, instead of fighting for herself. We finally see that fire inside of her that I had been hoping for since the first book. At every turn of this story there are questions that I had and kept me engaged with the story. While I still have trouble believing the storyline, the unanswered questions are killing me so I will continue reading this series.